Woohoo! It's almost CTMH New Idea Book Time ... tick, tick, tick until August 1! 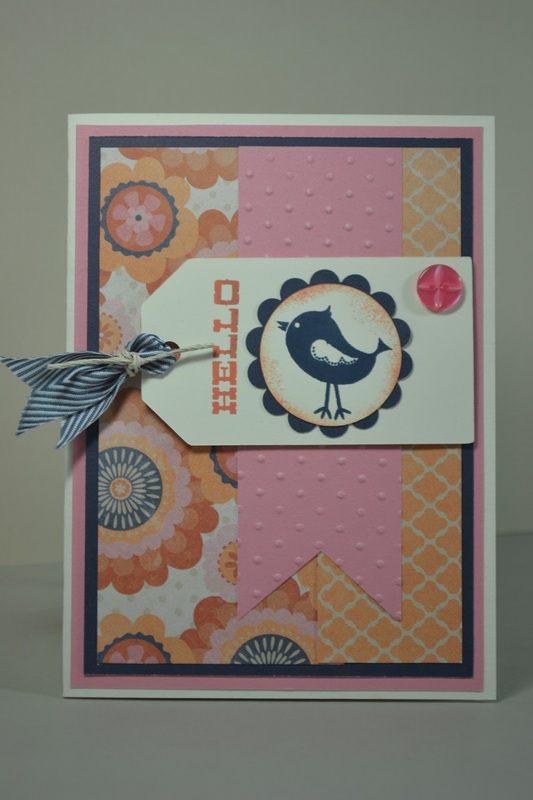 Today I've grabbed some fun leftovers from convention from the new paper pack Sarita. 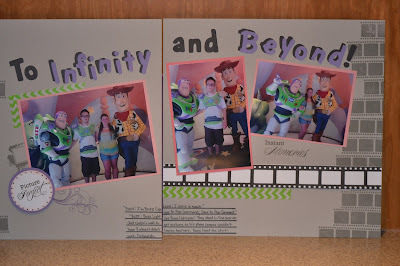 and BEYOND! 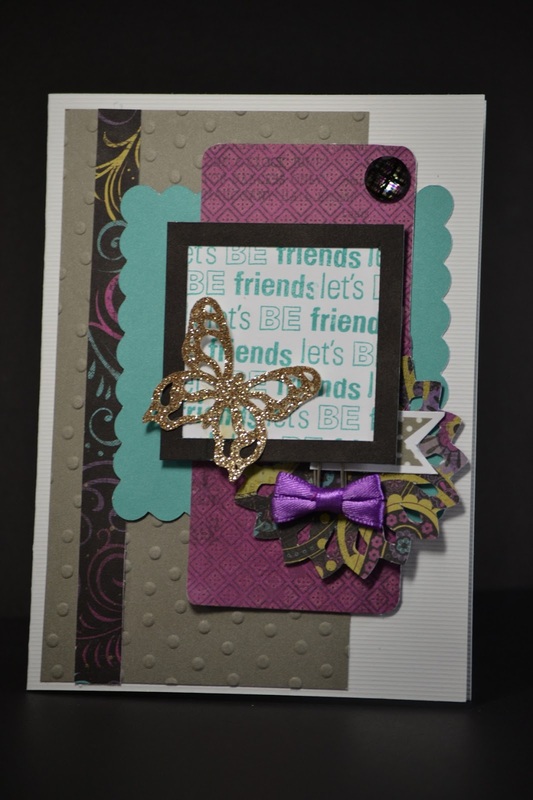 Woohoo, it's once again Friday and I'm here showing off our Color My Heart Color Dare Challenge #53 color choice for this week -- Gypsy, Blush and Sorbet. 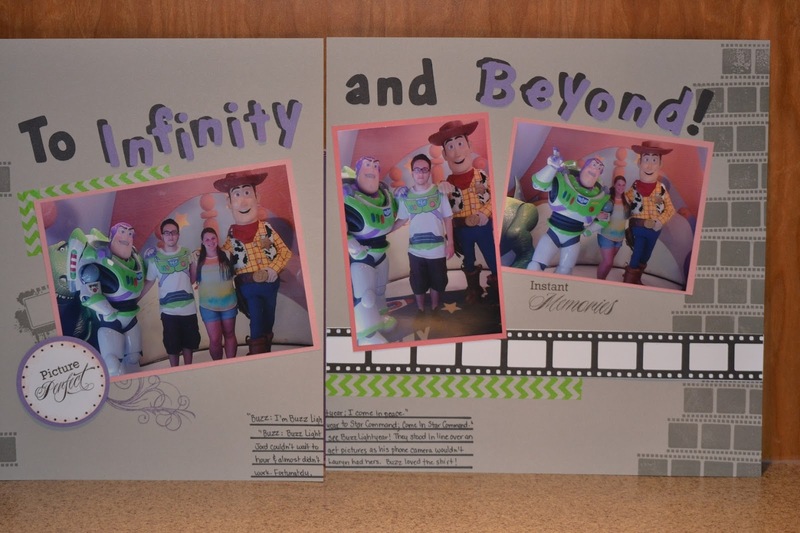 These colors worked perfectly for the photos I was scrapping of a fun visit to Disney Hollywood Studios. My youngest DS stood in line for over an hour to see Buzz LightYear and Woody, LOL! It doesn't surprise me though because we watched that movie when he was growing up enough times to quote it all by heart. What fun memories. I can even remember one Christmas ... it was all Buzz LightYear. Yup ... Fridays! Hope it's a good one for you! This week included some travel for work and it just makes the work seem longer so it's time to CELEBRATE Friday! What could be a better way to enjoy the day than with our Color My Heart Color Dare Challenge #52. 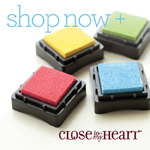 This week we're rockin' the colors of Twilight, Ruby and Olive. 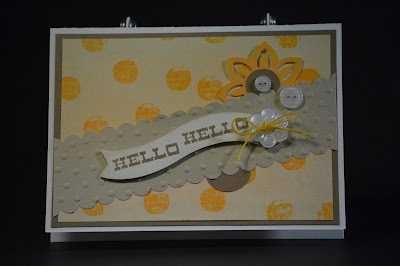 I also grabbed my CTMH Artiste Cricut Cartridge and used the Rose Blossom Garden Challenge #8 - the "G" Key. Christmas in July! The countdown is on I guess, LOL! I'm not sure I was in the mood for the holiday yet as I've really been enjoying Summer but it's good to start getting ideas for cards. 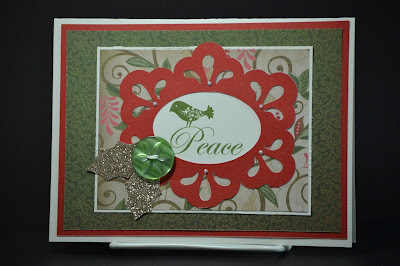 This card was for last week's Christmas Challenge at ABC Challenges. 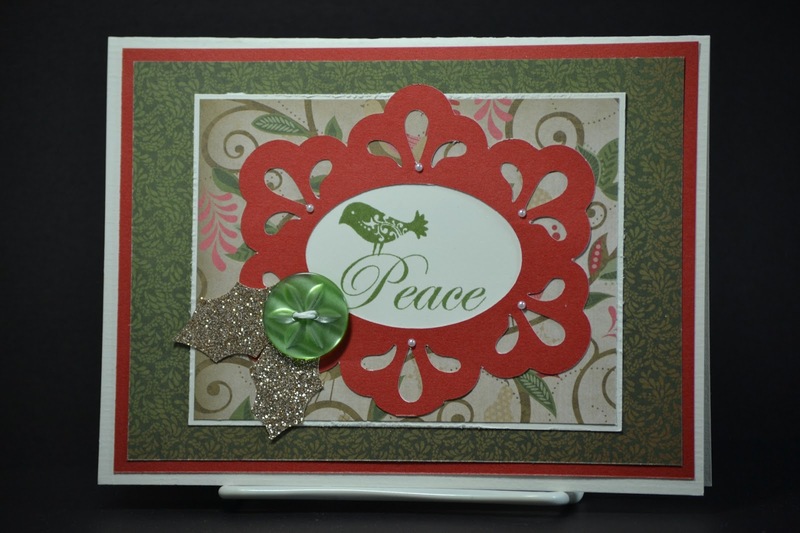 The sketch is this week's Sketch Frenzy Friday and I used the fun accent from the CTMH Artiste Cartridge for the Rose Blossom challenge this week. It's Friday ... it's good! 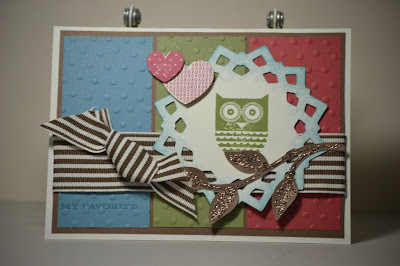 Come on over this weekend and check out the Color My Heart #51 Color Challenge - Bamboo, Desert Sand and... your choice. I chose Honey. 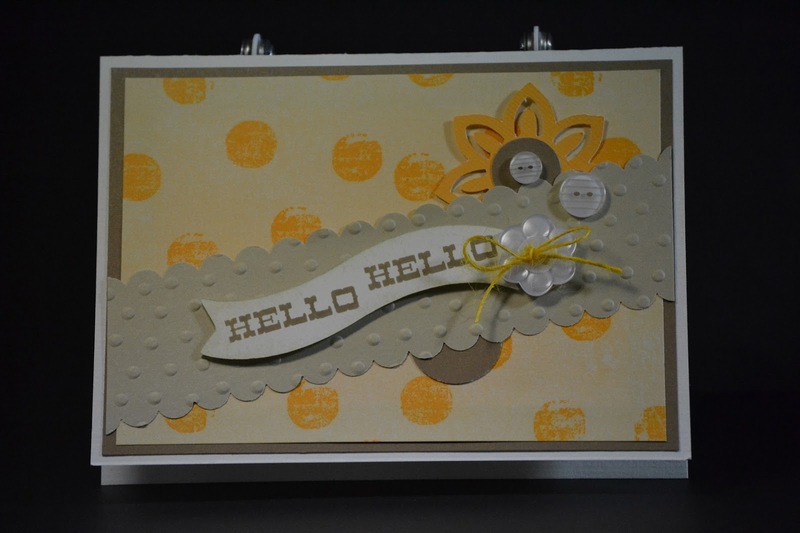 This cute sketch is for this weeks Freshly Made Sketches #94 and I chose honey with these color for the Twist of Faith Challenge #45- make it about the sunset. Back from a long week of travel for work and the weather was terrible so it's good to be home and hiding in the craft room! Tick...tick...tick....August 1 just can't get here soon enough, LOL! 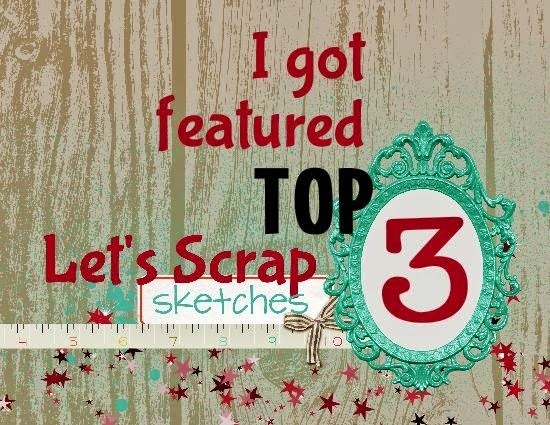 A few more scraps and a Cute sketch at Freshly Made Sketches and "viola" ... 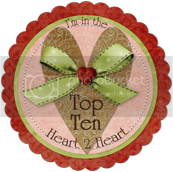 I also used the "K" key again for the challenge over at Rose Blossom Blog Challenge #7. Hope you're not tired of Laughing Lola yet, I hope to show off some of the pages in the Mini-Book we made at Convention! oooohhhhh ... it's always fun to see what's new and fun coming soon. I got to play at Convention with the new CTMH paper Laughing Lola coming out in the next catalog. It has such great colors. 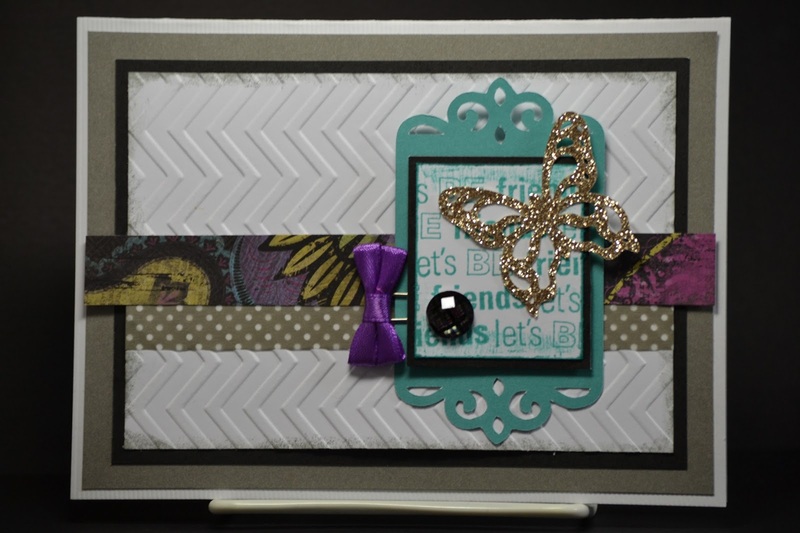 I had just a few scraps left from a CUTE mini-book we made with diecuts from the new CTMH Cricut Artbooking Cartridge. Tonight I was able to make it work with the few pieces I had left. The sketch is MOJO Monday #300 (Congrats Mojo for 300! 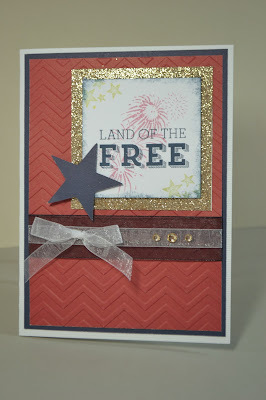 ), I stamped the square background for the challenge at Twist of Faith this week. 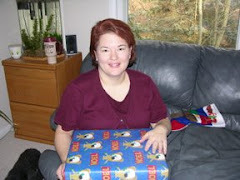 I also used the "K" Key for the fun challenge at the Rose Blossom. It cuts a really cute spiky circle and butterfly. Woohoo! Surf's Up Babe! I absolutely adore looking at these pictures. 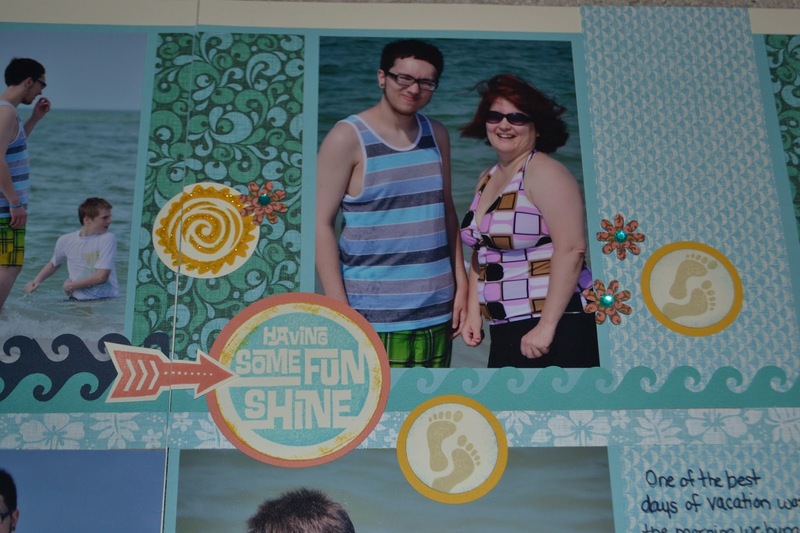 We had such a fantastic time in May on vacation. 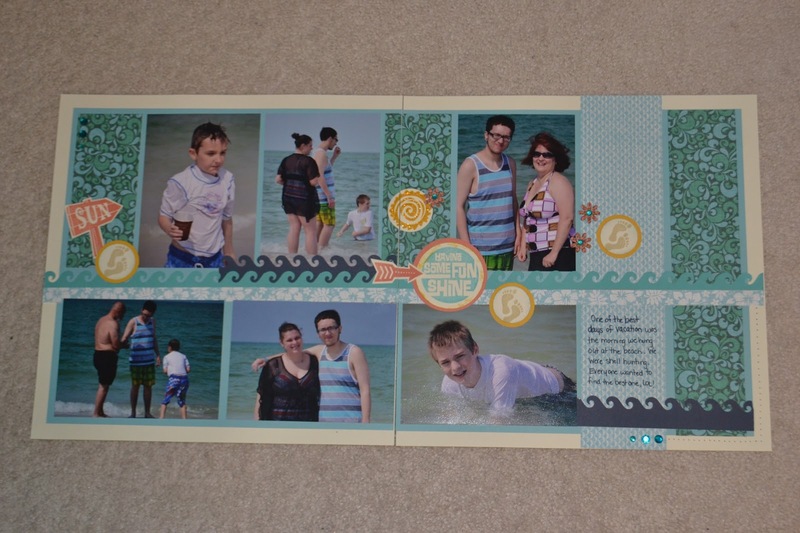 We enjoyed staying at the beach and even got to have my nephews join us. We spent one morning shell hunting and splashing along in the surf. Great Time! If you're following us on Color My Heart Color Dare you know we're on Challenge #50 this week! 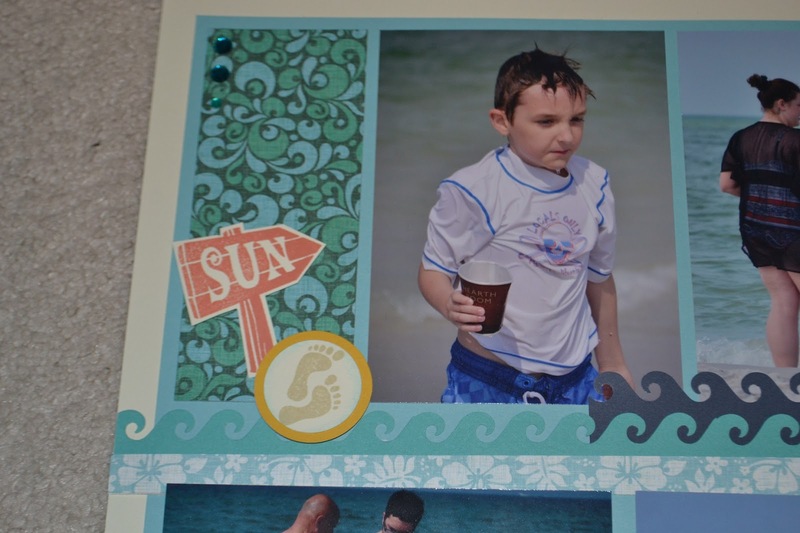 This week we are celebrating Surf's Up! If you don't have this paper pack, just select some colors that are close and play along. We'd love to have you join us. I have lots more picts to scrap of our time at the beach so you'll see this paper pack again ... LOL! Surf's Up Babe! The sketch is from Nuts About Sketches #270. Happy 4th July America! How blessed we are to enjoy freedom, a democratic government and an abundance of blessings we so often take for granted. To all those that have fought (and died) for our freedom - Thank You! What a great country! 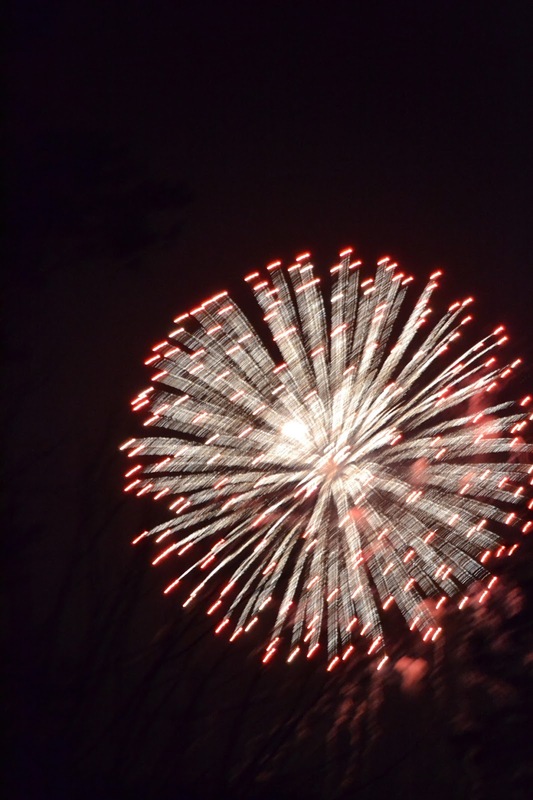 In our area, we enjoyed fireworks last night which was good since it's rained most of the day today. We had a BBQ and I even enjoyed some stampin' and scrappin' time. 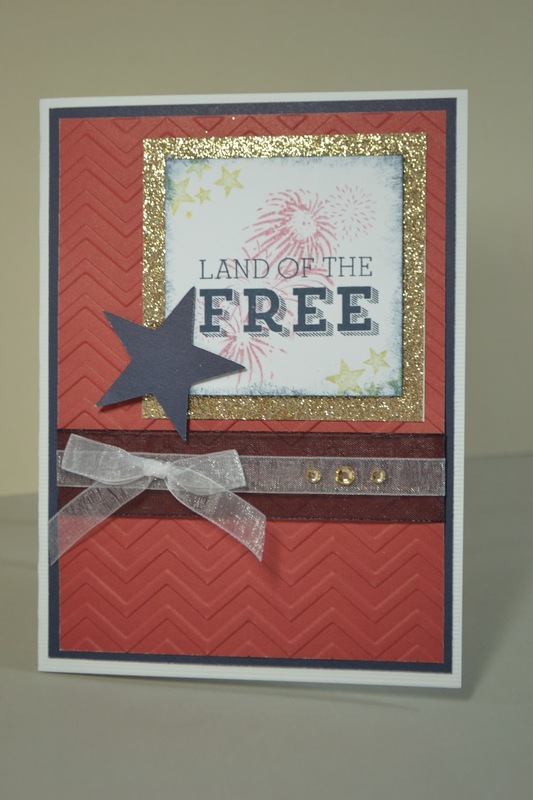 My card is the sketch from this week's Atlantic Hearts Sketch Challenge. God Bless America! Tonight, though it was time to scrap ... 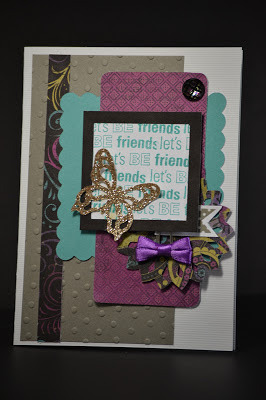 I was playing in a challenge over at Friends That Scrap to create pages from a lovely picture of lavenders and pinks. 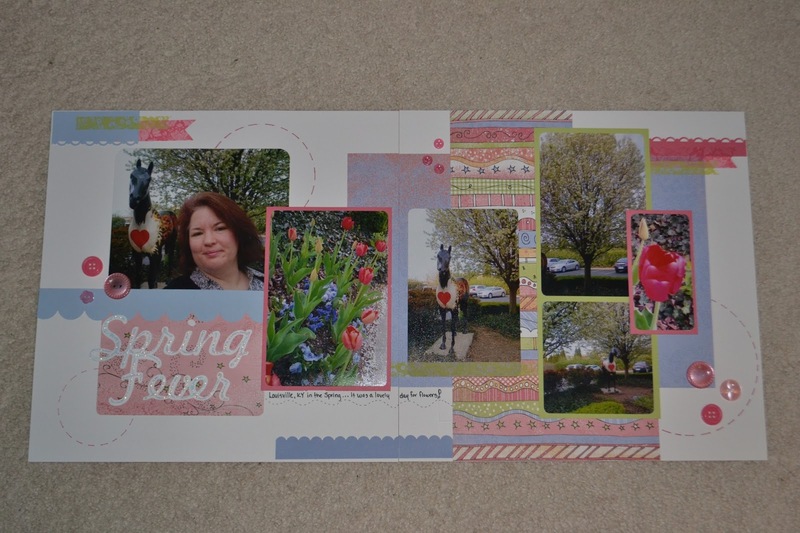 The layout is inspired from a Scraplift Challenge at sb.com. These are some picts I snapped on a trip in Louisville. It was such a beautiful Spring day! I hope my Canadian friends had fun celebrating July 1. It's so great we live in countries that are free. 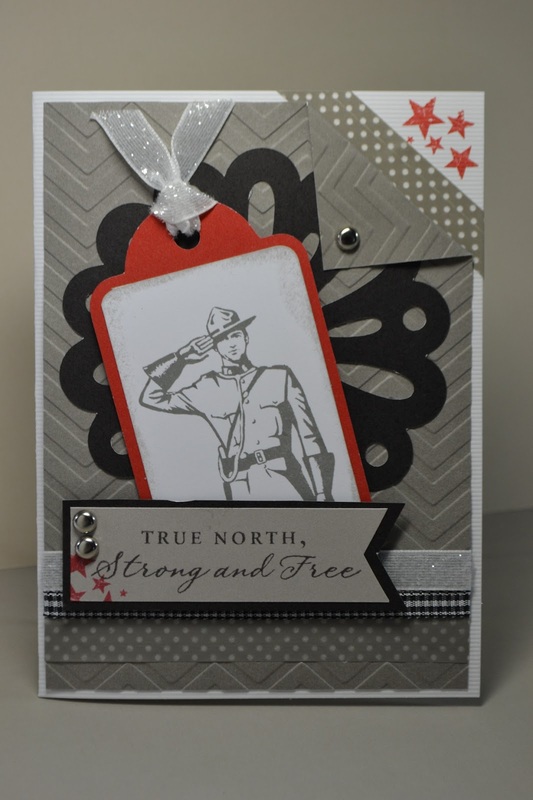 For this card I used CTMH Strong and Free. The sketch is from this week's Sketch Frenzy Friday. I really liked the sketch and hope to get a chance to use it again soon. This weekend I had the WONDERFUL Opportunity to spend time at the CTMH Convention - WOW! If you've never attended a stamping convention - definitely if you get a chance, GO! 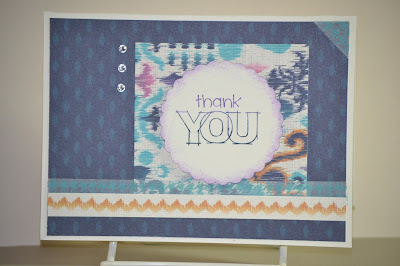 It was so much fun and I worked on lots of fun projects (can you say Mini Book), scrap pages and some adorable Cards! Coming soon .... coming soon! 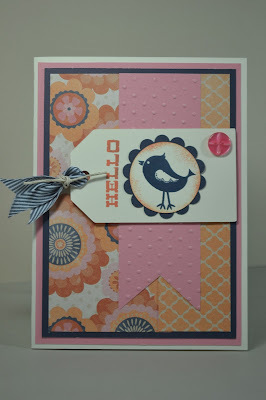 This week our challenge for ABC Challenge #35 is to Just Get Inky --- Anything Goes! Now how hard is that? Not very -- come and play! This was another card I did for Swaps at Convention! 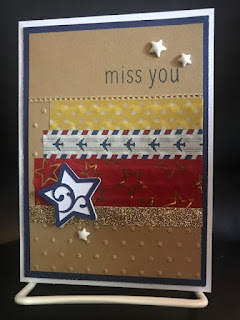 I put my Blog Address in with all the cards so if you've just come to my blog from the info at Convention, be sure to give me a "shout out" in the comments so I can say "Hello" again!